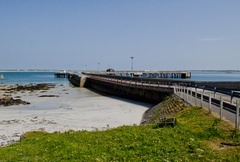 There has been a pier at Scarinish since the beginning of the 20th century. 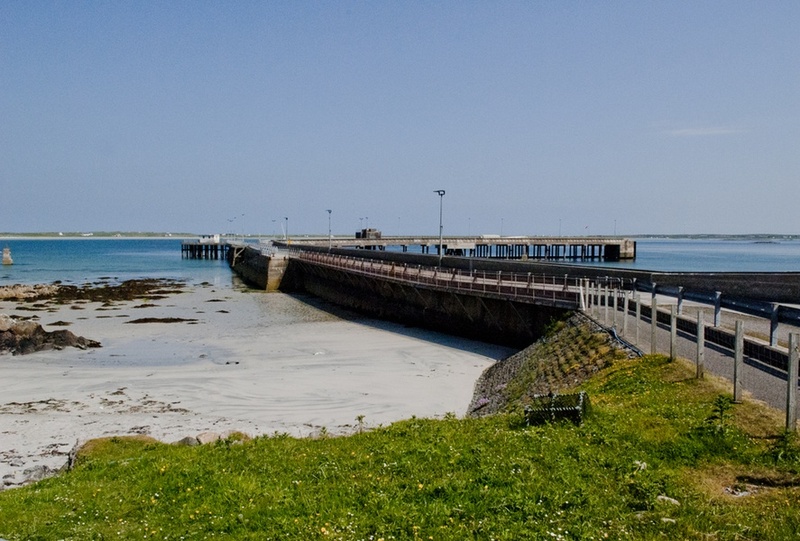 In 1991 the present link-span was erected enabling 'roll-on roll-off' types of vessels to service the island. Prior to the building of the link-span vehicles had to drive on to a turntable which was spun round to face the pier and could only take a maximum of four to five cars at a time. A very long laborious turn around time for ferry. This of course was superior to the previous method of driving your car on to a sling and watching it being air borne by a winch onto the ferry which carried a capacity of six cars. Our ferry frequency is four sailings per week in the winter and daily during the summer season. In 2003 Caledonian MacBrayne built the smart new offices, waiting room and toilets adjacent to the marshalling area, and those facilities are available during the arrival and departure times of the ferry.